Many Veterans and American Patriots will Boycott today’s Super Bowl Game and continue to Boycott Sponsors of the NFL for the arrogant disrespect by NFL players on several teams this, and past years. Their actions are accomplishing little, other than increasing the divide in America and the spread of hatred and lawlessness in our Nation. America only kneels to pray… it Stands to remain strong. 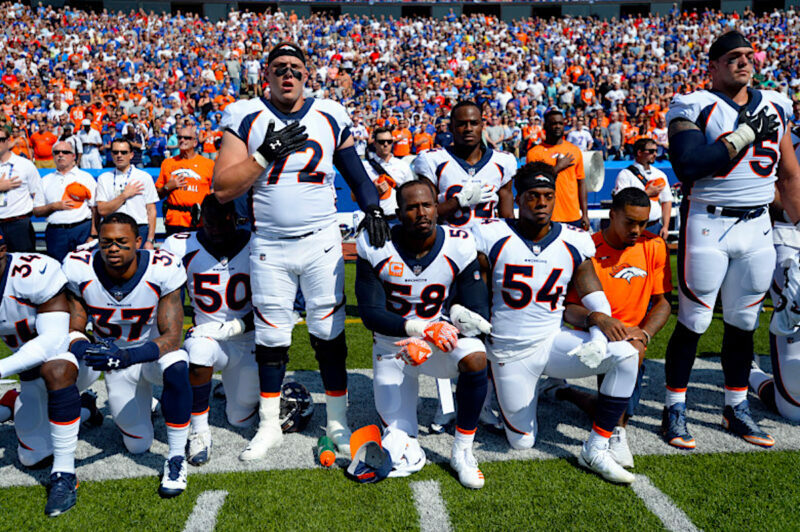 This hatred for America, our President and what America has “Stood” for is demonstrated in the NFL, the State of the Nation, and in many other places and is increasingly become a “Black vs White” Issue as shown in the Photo below. I think the USAA should further distance themselves from the NFL, and that sponsorship should be dropped by the companies, which can be seen by clicking on the Links below, until NFL players begin to respect their Nation for giving them the opportunity to earn more each year for playing a game than the average university/college graduate will earn in their life time. Please do your part to help stem the proliferation of hate, disrespect and intolerance sweeping America today, which may eventually make our once great Nation no better than those we now look down upon as “third world” nations. Remember, our vets risked their lives to ensure the freedoms for kids to grow up to be ball players, movie stars and CEO’s and make many times more each season than the veteran made in his or her entire military career. 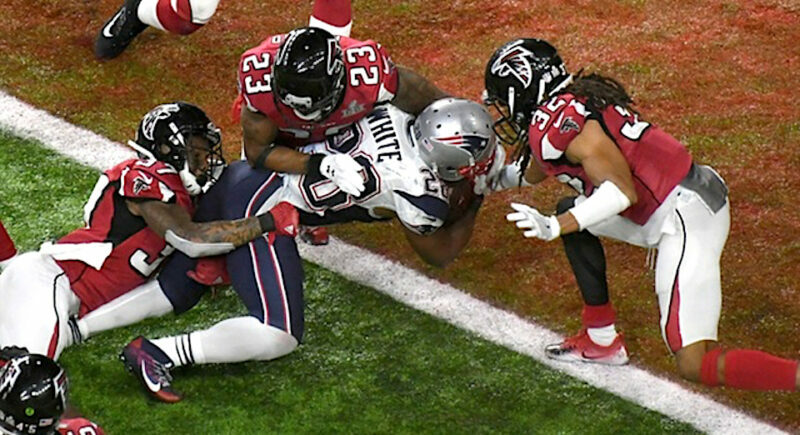 The Falcons had dominated during most of the game. White, #28, scored 3 touchdowns from Brady and getting the ball on/across the line at 3’58” in OT was amazing. Inches make a difference when checking a youngster’s growth, the length of your nose or other body appendages, and certainly when the knee is only inches off the ground when the ball crosses the line. I even watched the half-time show, which is unusual for me. Lady Gaga and her crew of dancers certainly burned a lot of calories with one of the most “Gyrastic” (if that’s a word… it is now) performances I’ve ever seen. It was spectacular, loud, but no offensive politics or wardrobe malfunctions requiring the drones to attack, so I was grateful…. Thanks Pepsi and the NFL. My congratulations to two great teams.